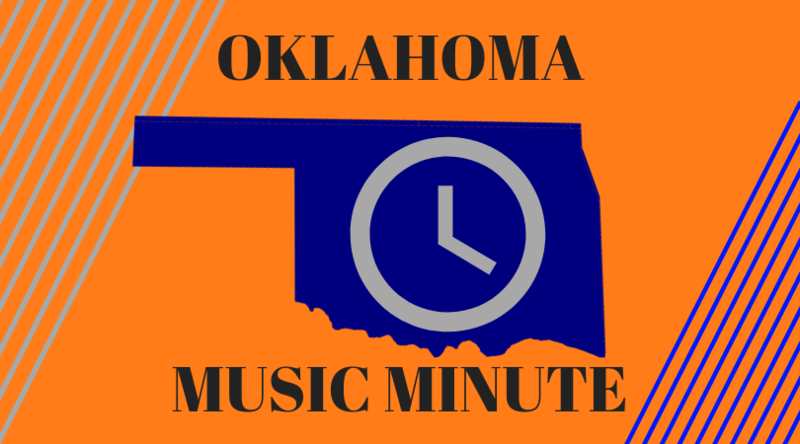 Every week, the Oklahoma Music Minute gives a rundown of where you can see live music in Oklahoma. Here are the picks for the week of January 21-25, 2019. You can see The Aints play The Deli in Norman or Adam Miller play JJ's Alley in Oklahoma City. If you're in Tulsa you can see Sarah Shook at Mercury Lounge. Check out Sarah Shook's "Good As Gold" below. On Tuesday, 12th Planet plays Farmers Public Market in Oklahoma City and Bison Witches in Norman hosts an open mic. In Oklahoma City, Hosty plays JJ's Alley. Hosty's "Dreamed of You" is linked below. On Wednesday, Drew Thomas Quintet plays Duet Jazz Club in Tulsa while Paige Rose and Natascha Myers play Red Brick Bar in Norman. Across the way, Kelly Hunt plays The Blue Door in Oklahoma City. See Kelly Hunt's "Dear Sarah" below. Jesse Cook plays Tower Theatre and Amilia K Spicer plays The Blue Door, both in Oklahoma City. Meanwhile, Patrick Sweany and Greyhounds play Mercury Lounge in Tulsa. Here's Patrick Sweany's "Up And Down." To end the week, Monoculture, Cucumber & the Suntans and Manta Rays play The Colony in Tulsa, Flatland Cavalry plays Tumbleweed Dance Hall in Stillwater, and John Calvin Abney and Christy Hays play The Blue Door in Oklahoma City. Finally, Midland plays Cain's Ballroom in Tulsa. Midland's cover of "Eastbound and Down" is below. The Oklahoma Music Minute airs weekdays on KOSU at 6:19 a.m., 8:19 a.m., 11:31 a.m., 1:20 p.m., 3:18 p.m. and 5:18 p.m.